Blemish and Age Defense Serum is a targeted, oil-free approach to treat adult acne and signs of aging. This 1st-to-market acid blend combines 2% Dioic Acid with an optimal alpha and beta-hydroxy acid formulation designed to prevent the formation of acne, minimize hyperpigmentation, and reduce the appearance of fine lines and wrinkles. Specifically created for the concern of blemish-prone skin, this product goes beyond treating imperfections to additionally address signs of aging. Reduces acne causing bacteria, P acnes. Prevents hyperpigmentation caused by inflammation or UV exposure. I have been using this product for 3 years and it is truly my "LIQUID GOLD". I am 50 and am meticulous with my skin care routine . But no matter how careful I am I still get breakouts--hormones, stress ect.. This serum has drastically reduced my breakouts. Recently I switched my skin care products to SkinMedica-- The SkinMedica TMS serum is worth every penny but after 2 weeks I noticed more than usual breakouts and went back to using his serum with the SkinMedica products. Now my skin literaly glows and is back to being blemish free 90% of the time. I was using Prevage serum and cleanser when a breakout occurred at forty-four. I thought I must change my cleanser and serum until this stops. Luckily I found the SC line offered a serum that is for ageing and a breakout. I bought the cleanser for breakouts and this serum but due to not checking email for one month, I missed a great sale on SkinCeuticals which is difficult to find. Nonetheless, I had to get through the acne moment and shelved the Prevage for a month while using the new cleanser and serum. 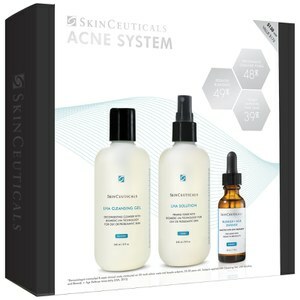 It has worked and when I found Skinstore was offering another special on SkinCeuticals, I had to plan ahead. I bought the serum that has C and E along with the daily moisture cream. I sampled the new matte SPF and I am going to buy it as well. 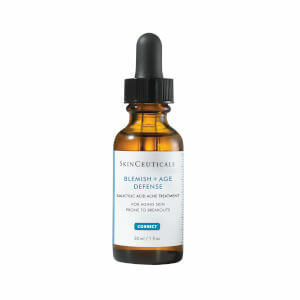 SkinCeuticals is a very good product and having a discount is an added blessing for those of us who are in this life for the long haul and want our skin to be beautiful at 99. Thanks Skinstore and SC. Despite all my disappointment of other SK products, this one really works. If you experience acne problems you can use this product. Even in 1 week you can see the difference on your skin texture. Excellent serum! Even after a week of use it makes my skin feel great. I'm not sure about the wrinkles, but it certainly helps clear up blemishes. I've been using it for a while; it's a must buy! I get these really annoying breakouts around September of every year. I think it might have to do with changing seasons or something. Anyway, I purchased this from my dermatologist when I last visited. In the past, I used SkinMedica's acne lotion, and it worked great. But I wanted to try something new. 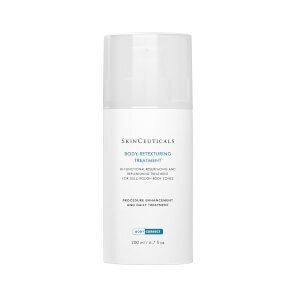 The Skinceuticals product DID NOT WORK and even discolored my skin for a week. Boo! I've been using this serum for about a year, applying it every morning. At 43 yrs old, I still break out easily. I guess you'd say I have sensitive, combo skin. But with this product, I rarely get a blemish. I'm fair-skinned, have very few wrinkles, and want to keep my skin looking good. Although it's expensive, this serum is really nice. No strong fragrance and my skin drinks it in. Great product. I have used everything under the sun for my acne over the past five years. Because I had comedones, inflammatory acne, and cystic acne some prescription medications only worked on one or two types of blemishes. My dermatologist had be try a free sample of the line and I haven't gone back to her since! I've found the LHA products at a spa nearby. This is the best line I have ever used on my face. The serum is like gold. 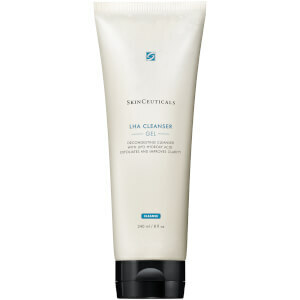 Used in conjunction with the LHA cleanser and Toner my acne is finally at bay. This line basically replaced my dermatologist. OTC salicylic acid products never made any difference, but with the LHA it works wonders. My skin was pink, irritated, and raw for the first week of using the 3 step system, but after I realized I was using too much serum the irritation and sensitivity went away. I may just be using this until I'm an old lady since its age defense too. I love how soft and balanced my skin feels. Its not dry now or oily and my skin is so radiant! I suggest only using a few drops at a time though. My skin went from terrible to almost totally clear within a month. Using this, it feels like every day my skin improves a little. Just started using this product. Haven't noticed any difference yet. I have always had issues with painful blemishes; within two weeks of using this product I had no blemishes and for three weeks now I haven't had painful breakouts. I have two huge concerns--over 40, aging skin combined with adult acne breakouts (hormonal). This has virtually stopped my breakouts! 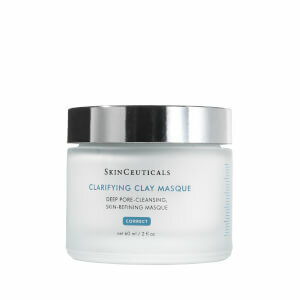 I use it at night (and use Skinceuticals CE Feurlic in the AM) and then follow with an oil-free, intensive mositurizier cream which helps stop the mild stinging that you get with this product. 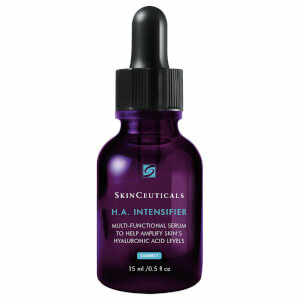 Its only temporary and it did NOT irritate my rather sensitive skin--love SkinCeuticals and I love this product--it really works!